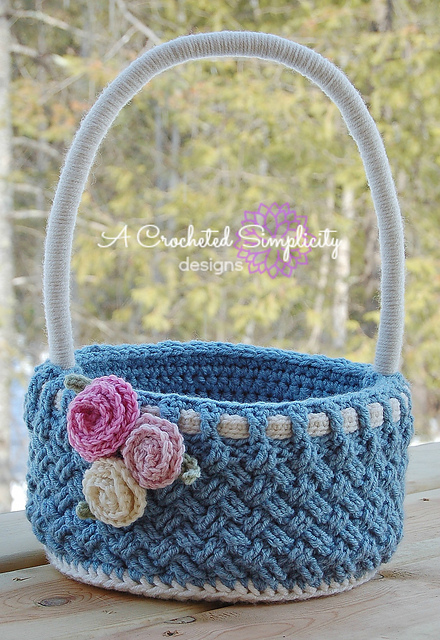 I fell in LOVE with the Celtic Weave stitch pattern as soon as I saw it. I knew right then that it would be perfect for a basket. With Easter fast approaching, I figured it was time to get it hooked or I knew it would be set aside until next year.